This newly-built hotel is located in the so-called 'Golden Block' of Cordoba, where the Avenida del Gran Capitan and the Avenida de la Libertad meet. It is c lose to one of the AVE rapid train stations, which provides guests with quick an d easy access to the historical quarter and the mosque. The city centre is just 400 m from the hotel. Seville airport is located roughly 138 kms away and Granad a airport is approximately 166 kms away. Visitors are offered maximal comforts a nd modern technologies. Opened in 2006, this hotel includes a landscaped terrace and a total of 207 rooms over 7 floors. Lift access to the upper floors is available. 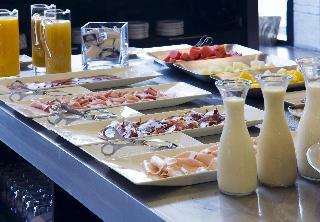 For dining and refreshment the hotel offers a breakfast room, a café, a lobby bar and an à la carte restaurant. Business facilities include conference rooms, 8 large function rooms, which are equipped for every function, and public In ternet access. Located on Paseo de la Victoria, the hotel is only a 5-minute walk from the AVE train and bus station. It is just opposite the former city wall, where most of the city's landmarks can be found. The hotel is also just 5 minutes from the Palace of Congress. This 162-room design hotel was fully renovated in 2008. Guests are welcomed into a reception hall and offered to take advantage of the hotel's many services. Children may take part in the kids' club or together with their parents engage in one of the many leisure and sports activities on offer. The rooms provide an ambience of authentic contemporary luxury with exclusive details, including individually regulated air conditioning and heating. The hotel offers an avant-garde restaurant where guests can sample a variety of traditional dishes in a casual, modern atmosphere. 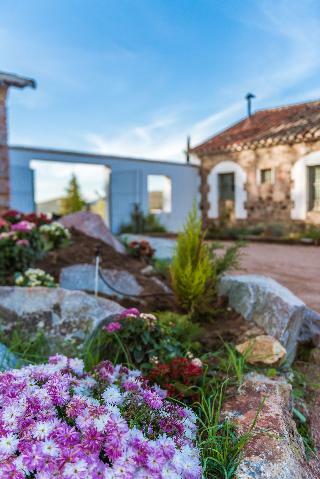 Perfect for the gay community, this charming rural hotel is located in Cordoba. The premises count with 21 welcoming guests rooms. Balneario Aguas De Villaharta was completely refurbished in 2018. Unfortunately, the front desk is not open 24 hours. Ideal for families travelling with children, Balneario Aguas De Villaharta offers some units including cots on request for the little ones. Those who dislike animals may enjoy their stay, as this accommodation does not allow pets. Parking facilities are available for guests' convenience. 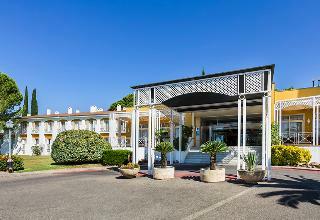 Due to its functional meeting facilities, this rural hotel is a perfect place for guests travelling for business purposes. Travellers may relax and rejuvenate in the property's wellness facilities. Balneario Aguas De Villaharta may charge a fee for some services. This fabulous hotel reveals itself within a well-manicured garden, offering a perfect place to stay while visiting Cordoba. The property enjoys an idyllic setting and is well-connected to the downtown and major city attractions such as the imposing Mosque–Cathedral of Córdoba and the Palace of Mercy, which might be reached by means of public transport. This fashionable establishment enjoys a beautiful Colonial style in architecture and décor, together with outstanding service offering a perfect base for a relaxing stopover. The guests' accommodations comprise rooms and suites. Each of them offers large and delightfully decorated surroundings complemented with cutting-edge amenities. Food lovers may delight in enticing Andalusian specialties in the in-house restaurant. Those who wish to become fit can take advantage of the fitness centre and have a soothing dip in the outdoor pool. There is a parking and an inviting bar for guests' added convenience. This hotel is located close to Cordoba's renowned old town. 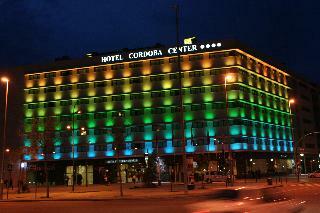 It is situated just a 20 minutes' walking distance away from the Great Mosque of Cordoba. The bus and train stations can be found just 5 km away. The hotel is situated 150 kilometres from San Pablo Airport. This well-appointed hotel features comfortable, tastefully-designed guest rooms, which offer modern amenities. The property comprises conference facilities, for the convenience of those travelling for work purposes. Guests are invited to dine in style in the elegant surroundings of the restaurant. Guests can enjoy a leisurely swim in the pool, or simply lie back and relax on the sun loungers.